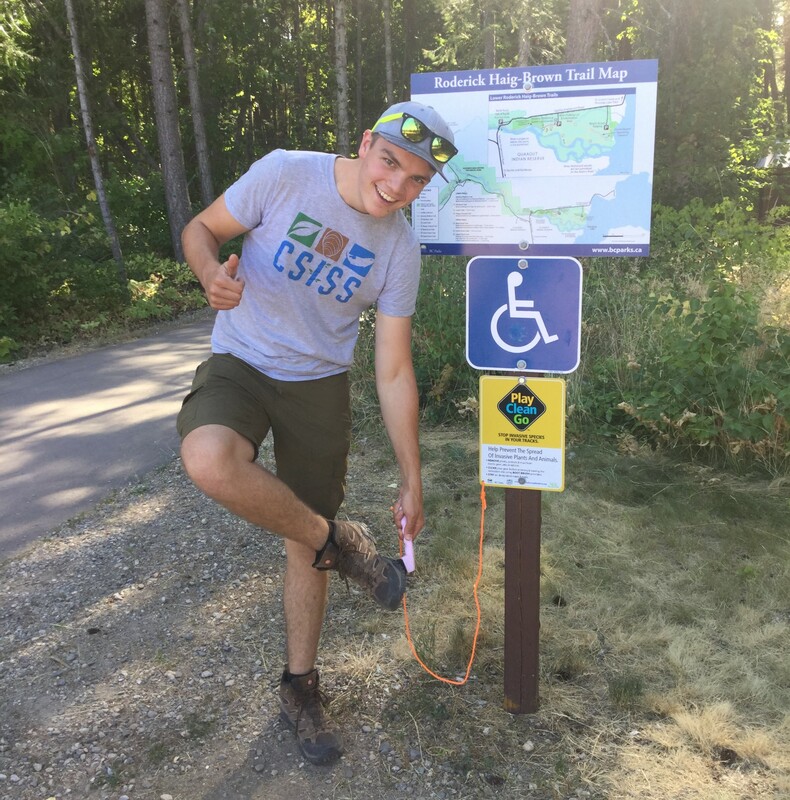 From wilderness areas to local town paths, our trails are an important part of our BC lifestyle. Whether you are an ATV/motorcycle enthusiast, trail runner, mountain biker, equestrian or hiker, keeping trails in good order is in all our best interests. 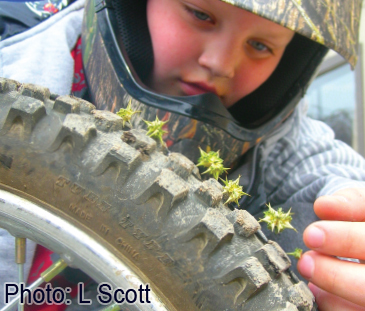 Invasive species can have serious detrimental impacts on enjoyment of trails. They can puncture bike tires, cause severe skin burns, injure horses and cost time and effort in trail maintenance. 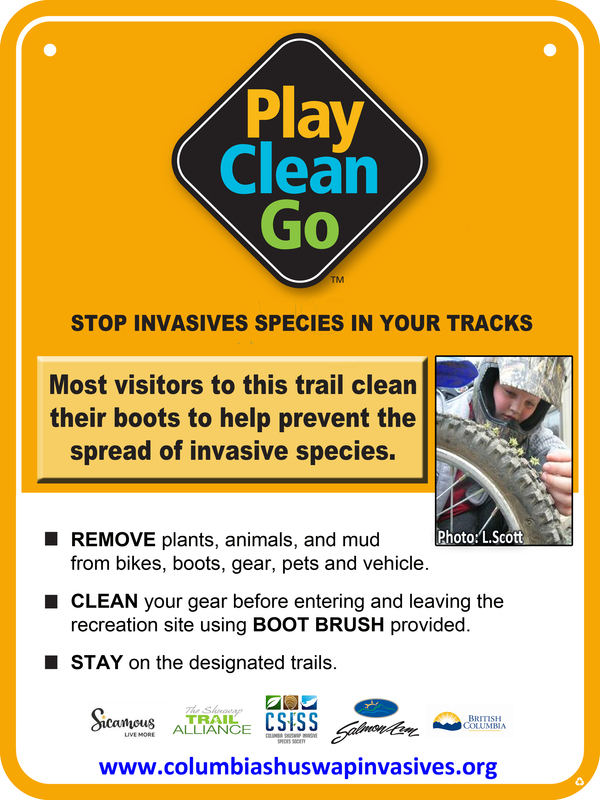 REMOVE plants, animals & mud from boots, gear, pets, & vehicle. 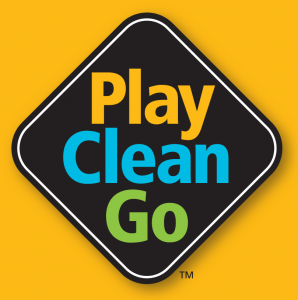 CLEAN your gear before entering & leaving the recreation site. STAY on designated roads & trails. USE CERTIFIED or local firewood & hay. Look for CSISS Play Clean Go signs and brushes at trail-heads across the region. 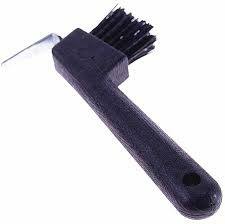 Use brushes provided to clean your boots/bikes/gear. ƒ Invasive species are nonnative plants, animals, and diseases that can cause harm to the economy, environment, and human health. 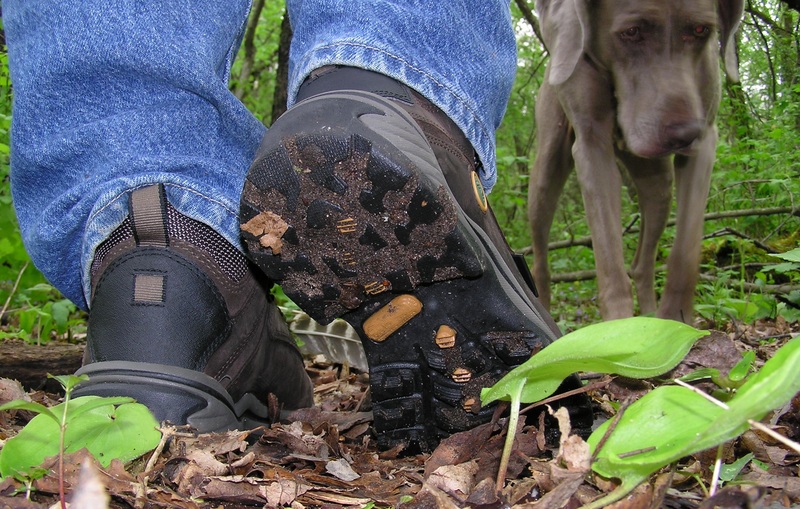 ƒ Invasive plants tend to reproduce and grow quickly making trails impassable. ƒ They affect wildlife shelter and food sources by reducing native plant populations which may also lead to soil erosion. ƒ Invasive insects and diseases can kill trees. WHAT DOES THIS HAVE TO DO WITH TRAIL USERS? ƒ Invasive plant seeds, insects, and diseases can be moved on equipment, such as mud on tires or seeds with burs on clothes and shoes. ƒ Concerns about spreading invasive species may endanger access to lands and trails in the future. 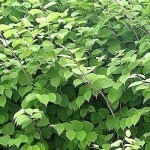 ƒ Learn to recognize invasive species. 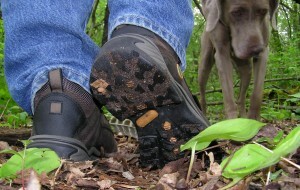 ƒ Wear clothing and footwear that do not attract seeds. 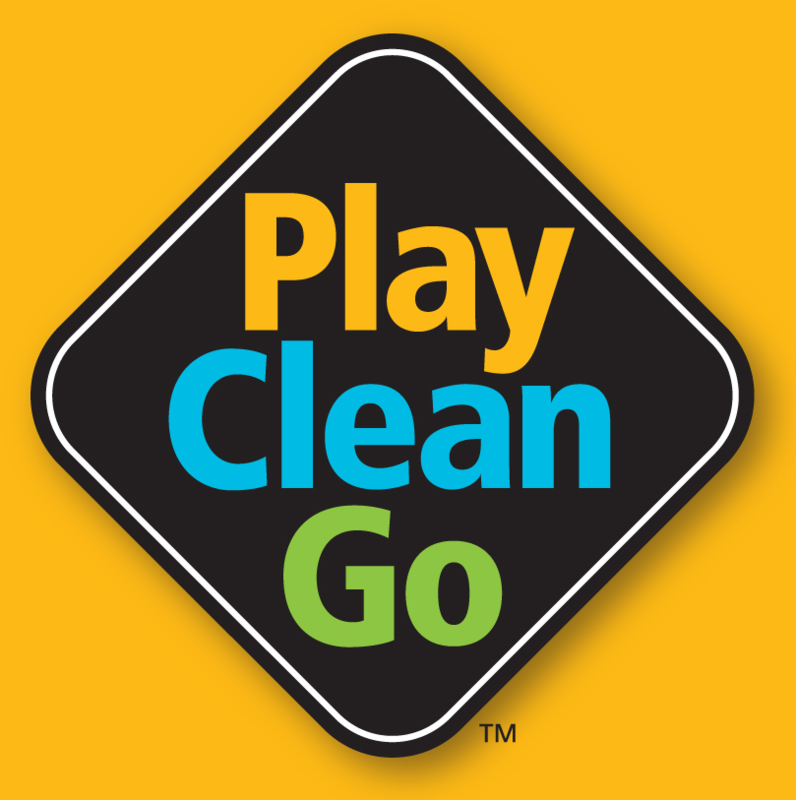 ƒ Inspect and clean hair, pets, clothing, shoes, and gear before and after recreating. ƒ Clean your equipment before and after use. ƒ Properly dispose of soil, seeds, or plant parts from cleaning. ƒ Minimize soil disturbance; stay on designated trails, roads, and other developed areas. 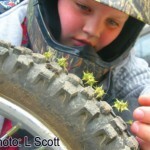 Puncturevine can puncture small truck tires, bike tires and feet alike. It is currently known in the southern Okanagan but is not yet present in the Columbia Shuswap region. 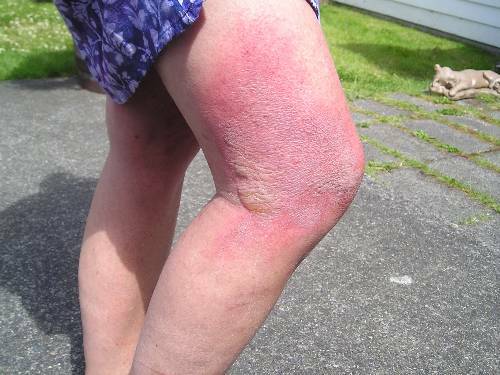 Giant hogweed and wild parsnip can both cause severe rashes and burns if touched. 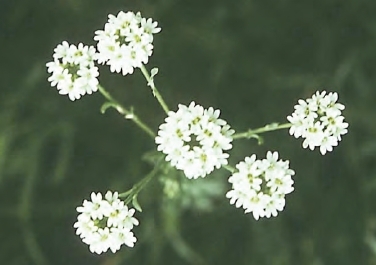 These species are rare in the Columbia Shuswap with two locations known for wild parsnip and one location for giant hogweed. Both have superficial similarity to the native cow parsnip (which is also toxic to touch). Giant hogweed is much bigger that cow parsnip, and wild parsnip has yellow flowers, whereas cow parsnip has white flowers. 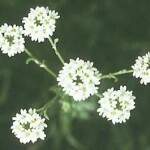 Hoary alyssum spreads easily by seed and is very toxic to horses. Knotweeds can grow at a rate of 4 cm per day and can cause significant increased cost (time and money) spent in trail maintenance.